Intimate partner violence is now recognised as a serious human rights abuse and increasingly as an important public health problem with severe consequences for women’s physical, mental and sexual health. Therefore, a comprehensive understanding of intimate partner violence is an essential aspect of good-quality social work practice. This is an accessible introduction to the complexities of social work practice with abused women, as well as men. Designed for those new to practice in this area, it outlines and explores some of the key issues from an international perspective, such as the role and responsibilities of a social worker, prevalence rates and research around causes and consequences. It includes chapters on working with women with additional vulnerabilities, working with perpetrators, impacts on physical and mental health, child protection issues, assessment and intervention strategies, and long-term approaches. 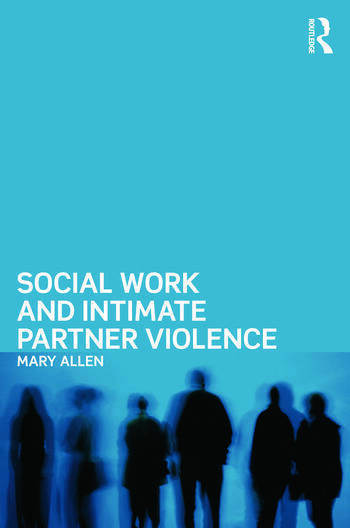 Social Work and Intimate Partner Violence is an up-to-date book bringing together all the most important information in the area for social workers, and is essential reading for all students and newly qualified professionals. Mary Allen is Lecturer in Social Work at University College Dublin, Ireland.